The manufacturer warrants our synthetic turf for eighteen (18) years residential landscape projects, ten (10) years for commercial projects, eight (8) years for putting green surfaces, and five (5) years for golf tee line materials from the date of the synthetic turf purchase and maintained as recommended by the manufacturer. This limited warranty is in lieu of all other warranties, expressed, statutory, or implied, including but not limited to, implied warranties of merchantability and fitness for a particular purpose. The manufacturer shall not in any event be liable for any indirect, incidental, punitive, special, consequential, or other similar damages including, but not limited to, loss of profits or revenue, economic loss, or other goodwill, even if the manufacturer has been notified of the possibility of such damages. Slight color changes will occur over the lifetime of this turf and are not considered an issue or basis for a claim. All labor costs involved with the installation, removal of the affected turf and/or reinstallation of any replacement will be the responsibility of the purchaser. General provisions of this limited warranty apply to the wear of the turf products with regard to ultraviolet degradation, and do not apply to damage incurred during installation, improper underlay, pile crushing, willful or negligent abuses, or damage by machinery or equipment, nor does it apply when the turf is not installed by a professional installer. In the event of warranty issues covered by this Limited Warranty, the manufacturer will either (a) replace the effected portion of the turf product with new product of the same type or other product with the same quality or (b) the manufacturer may elect to issue a credit instead of replacement or repair, which credit shall only be to the affected areas of the turf product. Replacement of the affected areas is for the turf product only, excluding any and all costs associated with the installation and infill, including but not limited to installation supplies, inconvenience, labor charges, etc. The Expressed Limited Warranty excludes all implied warranties, and said manufacturer shall in no event be liable for a breach of warranty in any amount exceeding the invoice price of the turf products purchased. Damage from accidents, vandalism, abuse and neglect. Acts of God (including earthquakes, floods, hurricanes and other natural disasters). Use of chemicals and improper cleaning methods. Damage that occurs during the shipping/transportation process. All shipping claims must be filed against the freight company involved. Damage caused by reflection (melting) or other flammable materials. Such reflection sources include but are not limited to: windows, vinyl fences, metal blocks, concrete/stucco walls and etc. Visual lines caused by variation of the color of yarns and manufacturer tufted stitch lines are not considered a defect as there is no deterioration of actual yarn itself and is a common occurrence among all tufted products. Purchaser must promptly inspect all products upon delivery. Anything herein to the contrary notwithstanding, to the extent that any defects, shortages, or non-conformities in the products are discoverable by inspection upon delivery of the products, all obligations of the manufacturer to purchaser with respect to such defects, shortages, and non-conformities shall be deemed satisfied, and all products shall be deemed to be free of such defects, shortages, and non-conformities, unless Purchaser notifies the manufacturer of such defects, shortages, or non-conformities in writing within 30 days after the date of purchase. 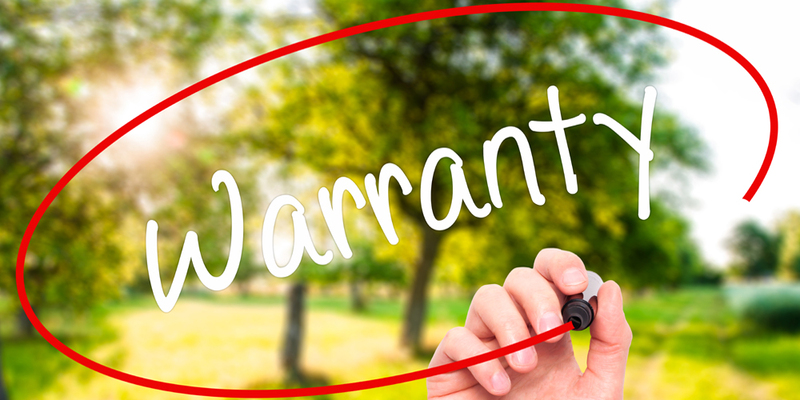 Purchaser may not transfer, convey, or otherwise assign all or any of its rights under this warranty without prior written consent of the manufacturer. Any such transfer or assignment without prior written consent shall be null and void. *Watersavers Turf customers only. Any claim must have original Watersavers Irrigation invoice or original contractor installation contract with start date.